Inequality, or Futoshiki, is an exciting logic puzzle originated in Japan. 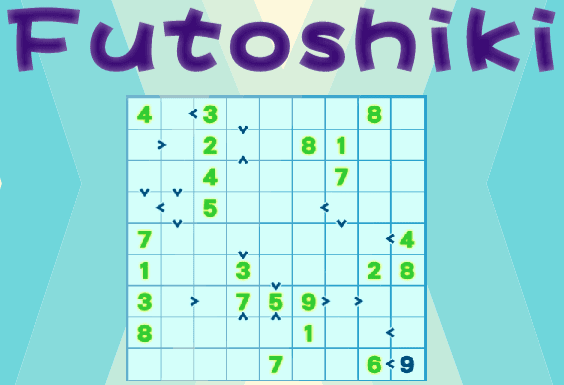 Your goal in this game is to fill in all blanks with numbers as quickly as possible. In the first level of the game, you will be given a grid of 4x4 dimension. Some of the squares will be filled with numbers, while others are blank. You need to use numbers between 1 and the dimension of the grid, for example, numbers 1 to 4 will be used for filling in a 4x4 grid. Note that the numbers in each row or column must not repeat. Inequality signs may appear between the squares, and the numbers in those squares must obey the signs. Note that you must complete each level within the given time limit, or you will lose. As you progress to the next level, the size of the grid will increase. Can you finish all Latin squares in time until 9x9?